When towing a large, tall trailer, visibility and safety can be impaired. 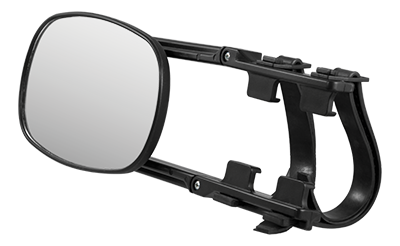 The CURT tow mirror easily attaches to your vehicle's existing mirror and provides a wider view of blind spots. The mirror is highly adjustable and can be mounted on either side.